Child support attorney Revere Archives - Amaral & Associates, P.C. By of Amaral & Associates, P.C. on Thursday, December 12, 2013. Under Massachusetts law, parents who are divorced or separated must continue to support their children. 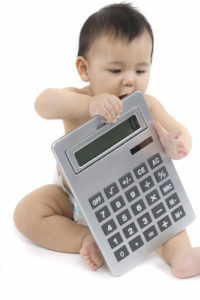 In Massachusetts, a parent’s child support obligation is calculated based upon the Child Support Guidelines. The Child Support Guidelines are a set of rules that dictate how to calculate a parent’s child support obligation, and what income must be included in the calculation of child support. The Child Support Guidelines often compare the respective financial circumstances of each parent and also look at the standard of living the child(ren) enjoyed while the parents were still married. 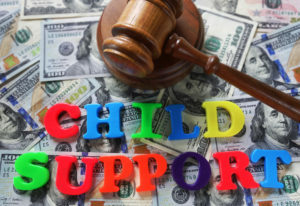 In calculating child support, the court considers all sources of income, including salaries, wages, overtime, bonus, income from self-employment, commissions, interest and dividends, disability benefits, social security benefits, unemployment benefits, and many other sources. The court may even impute income to a parent, if the court believes that the parent is not working or earning income to his or her fullest ability. By of Amaral & Associates, P.C. on Tuesday, October 1, 2013. In May 2013, the Massachusetts Probate and Family Court expanded Standing Order 3-11, which streamlines the child support modification process in Massachusetts. Through this Standing Order, parents can now complete more user-friendly forms to file for a child support modification with the Probate and Family Court, and also obtain a faster court date to obtain some relief. This project was originally initiated in 2011 in Bristol County through a federal grant. The project used Bristol County as a test county for the streamlined process. The Probate and Family Court worked together with the Department of Revenue, Child Support Enforcement Division to test this program. By of Amaral & Associates, P.C. on Thursday, June 27, 2013. On June 20, 2013, the Massachusetts Probate and Family Court released new Child Support Guidelines that become effective August 1, 2013. The new Child Support Guidelines revise the Guidelines issued in 2009, and modify several provisions from the 2009 Guidelines. Below is a summary of the changes to the new Child Support Guidelines. In the new Guidelines, the Probate and Family Court specifically excludes any income derived from means-tested public assistance programs, like TAFDC, SNAP, and SSI, from computation of child support obligations. Additionally, the Guidelines now explicitly state that the Court may consider none, some, or all overtime income even if overtime was earned prior to entry of a child support order. However, in all cases, where parents’ combined available income is over $250,000, the Guidelines should be applied on the first $250,000 in the same proportion as the Recipient’s and Payor’s actual income as provided on line 1h of the child support guidelines worksheet.